Group Discussion Ideas > General GD Topics > Free WiFi Spots – Beneficial or not? 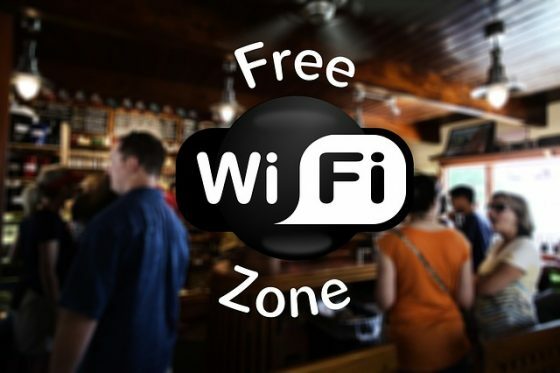 Free WiFi Spots – Beneficial or not? Free WiFi spots help ‘Digital India‘ Scheme. These spots can encourage the usage of internet. This will help students and unemployed, who is in need of internet access but cannot afford it. Free WiFi at railway stations helps in booking cabs and rental rooms. Free Wi-Fi can act as tool for empowerment and social inclusion, as not everyone can afford to buy a computer or a smartphone with a data plan. Free WiFi could be free for non tax payers but it is not free for taxpayers this can increase their taxes because it can cost millions to get this set up. There is no guarantee that people will use the facility for good purposes. There are a lot of incidents that people used it for unnecessary things like downloading movies, songs etc. Free WiFi can encourage cyber crimes. Free WiFi spots are vulnerable to hacking. If the hotspot is hacked, loss of information like financial accounts details is irreversible. Public WiFi spots consumes a lot of power. Arvind Kejriwal, the present Delhi Chief minister promised that he will makeDelhi as Wi-Fi city and the similar promise was given by deputy chief minister of Telangana. At present 100 railway stations have the facility of free Wi-Fi as of 2016. Indian government is going to provide free Wi-Fi access to 400 railway stations in collaboration with Google. Many countries have started providing free WiFi at public places. South Korea has 10,000 free WiFi hotspots as of 2016. Free WiFi provides social inclusiveness and encourages internet access. Hence this is beneficial, but expensive. However the investment will give returns in terms of increased digital literacy and internet coverage. Afterwords :- Do you think free WiFi spots will serve the purpose? Express your thoughts in the comment section below. According to me free WiFi spots are not beneficial rather Govt. Unnecessary spending lots of money because nowadays most of the people they have smart phone and internet connection. Supposed people they don’t have internet connection but he has smartphone it is not possible he will go to the WiFi spots and check their bank account or pay utility bill. Maximum people use wi-fi to download picture or music etc. Now I am telling for poor people they can’t afford money for internet, they will use wi-fi for their requirement like cab booking or Hotel booking. If they can’t afford money for internet connection how they will purchase smartphone , without smart phone people cannot access WiFi. So if poor or rich , they can purchase smartphone then they can afford internet connection. People they have required internet connection they will not think when I will go to the WiFi spots then I will access my mobile. According to me Govt unnecessarily spending ,as well as cyber crimes is increasing. Free WiFi should stop.